Best Friends Teddy Bear - 14"
Create the perfect keepsake your BFF can enjoy even when you’re not together when you present her with this lovable teddy bear. 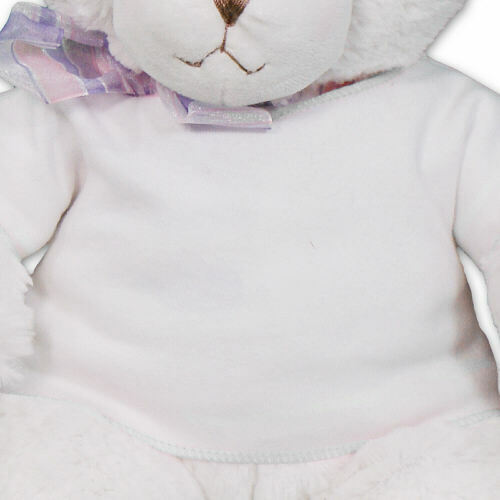 Our Plush Best Friend Forever Teddy Bear makes a great gift she can always enjoy! Perfect for her birthday, Sister's Day, Friendship Day or just because. This Best Friend Forever design is featured on our Dena Teddy bear. Dena is a sweet Plush Teddy Bear who has a super soft feel, wears a pretty bow and has pretty blue eyes. Dena measures about 14” and includes free personalization of any custom message. Or, you may choose a different design that better suits your needs. Free Gift Wrapping and a Free Gift Card are included to create a thoughtful presentation. Additional Details When you want to send your best friend a unique and loving gift idea, what better way to do so then with a Plush Teddy Bear personalized for the two of you. Shop 800Bear.com for all your Plush Animal Gift Ideas.